A flurry of snow and activity! 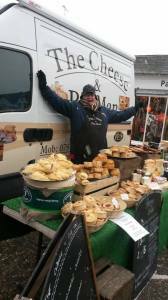 It was great to see Keith and Val back from Friends Farm on Framlingham Market this week. 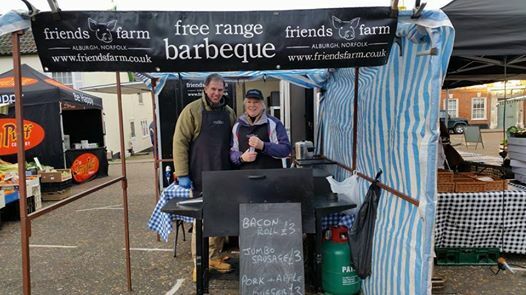 The BBQ was also back (With Val of course) cooking some delicious home reared bacon, and their very own award winning chilli and fennel sausage. 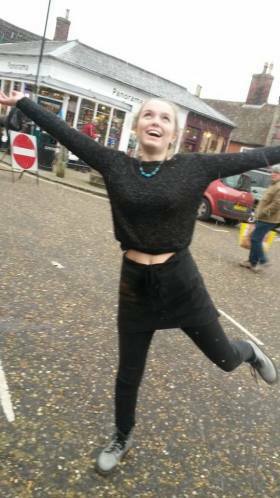 We had our first flurry of snow, and it was only a flurry, but some of the stallholders did get over excited! The market is building nicely, and stallholders are starting to return from their Christmas break, although some of us just took a few days off over the Christmas period!